The Think Movement by J. Sakiya Sandifer » again…i love technological breakthroughs!!! 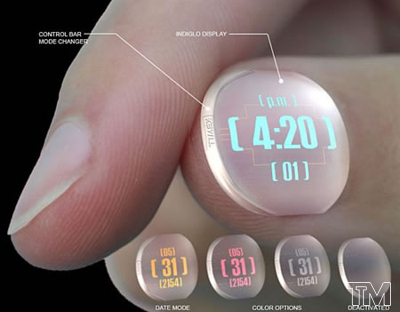 Timex, in collaboration with Core77, held a global design competition called 2154: the future of time design. This TX54 conceptÂ is a disposable clock and calender that can be worn on the user’s thumbnail.Â The nail clock makes seeing in the dark as easy as pressing down on the end of your thumb.